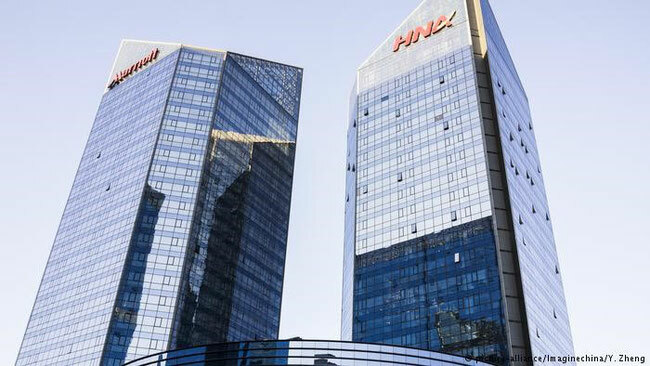 HNA shareholders last week voted overwhelmingly to block the proposed sale by Hainan Airlines Holdings of its Beijing HNA Plaza office building to property giant China Vanke, claiming the price tag was too low, the South China Morning Post reported. As part of its efforts to reduce the conglomerate's massive debt, HNA Group’s flagship airline had agreed to sell the 39,000 square metre building in Beijing’s upmarket Sanyuanqiao area for 1,299 billion yuan (US$190 million) to China Vanke in late September. However, at an extraordinary meeting last week shareholders voted against the plan in a landslide 93% vote. “Shareholders think the sale is not the best plan. They hope the company can present a better plan that is in the best interests of the company and the shareholders,” the airline said in a filing this week, without further elaboration. According to a report by Bloomberg, the Vanke deal was among a flurry of asset sales that have been carried out by HNA Group at home and abroad as it tries to pay down debt that was standing at 541.6 billion yuan (US$79 billion) at the end of June. In August it offloaded the site of its original headquarters, Wang Hai Technology Plaza, in Haikou, to the developer Sunac China for 981 million yuan. It also put nine overseas properties on the market in cities including London and New York. As CargoForwarder Global reported last week, HNA Group is also in advanced talks to sell its Swiss cargo handler, Swissport, to Toronto-based Brookfield Asset Management Inc., which has emerged as the preferred bidder for Swissport. If the sale materialises, it could fetch more than US$3 billion, which would be the biggest disposal for the debt-laden Chinese conglomerate, since it sold its stake in Hilton Worldwide Holdings in April.